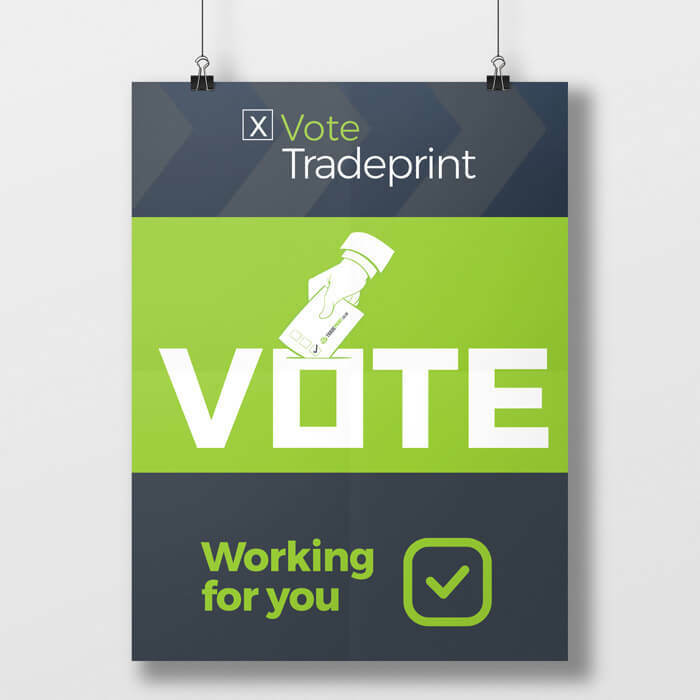 Raise awareness of candidates, parties and political events with campaign posters displayed throughout the constituency. These posters are also ideal for decorating political offices and as handouts to supporters for displaying in their homes and places of work. 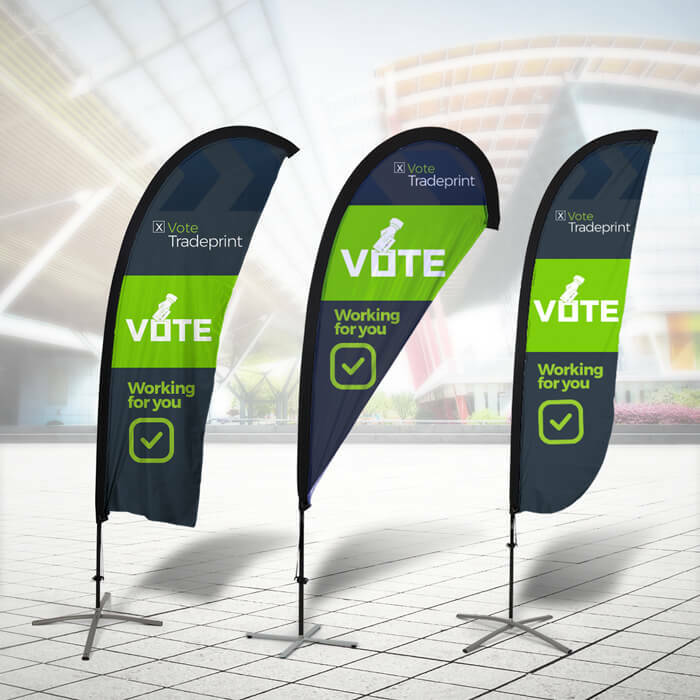 Our advertising Flags are ideal for positioning outside polling stations as a final reminder of the candidate, party and key messages before voters make their choice. 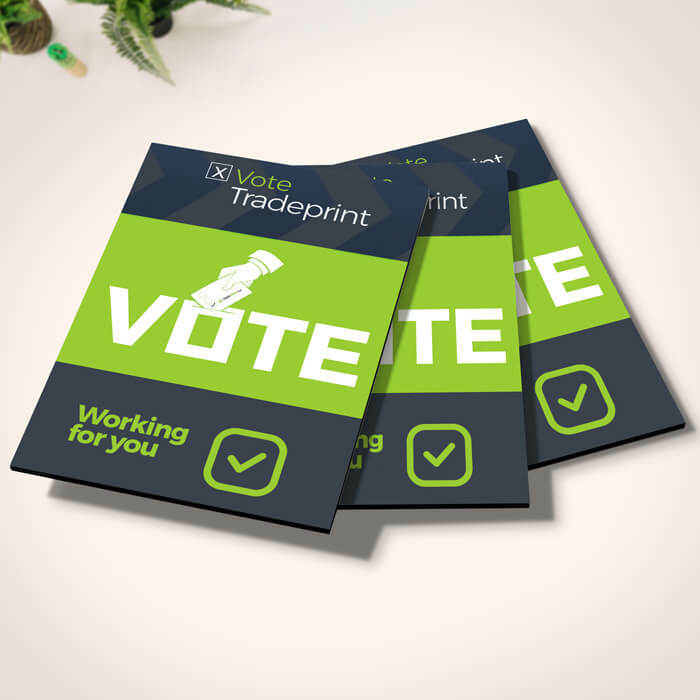 Keep candidates and parties at the front of voters’ minds with personalised PVC Banners. These banners offer cost effective and permanent promotion, perfect for branding party offices and for use during political rallies. 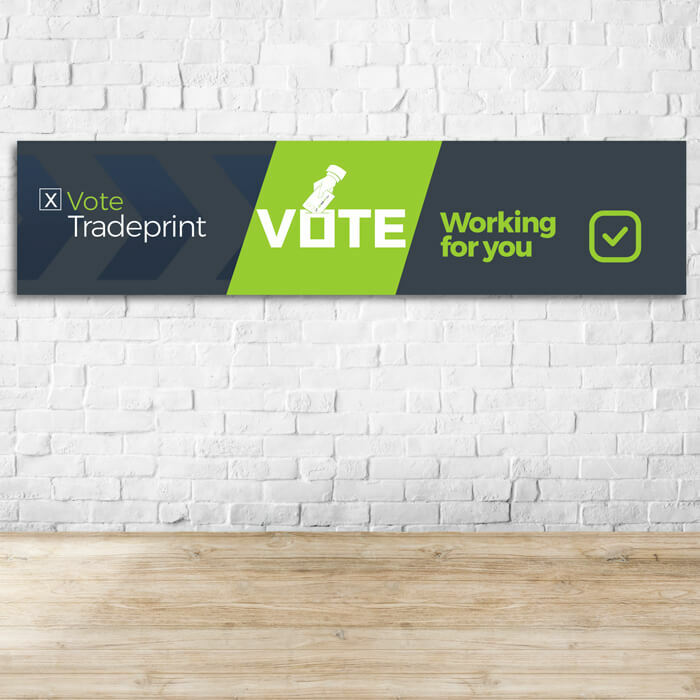 Opt for longer lasting campaign signs suitable for indoor and outdoor use. Create political T-shirts for candidates and supporters to wear when canvassing for votes. T-shirts also make excellent hand-outs, being both useful and memorable. 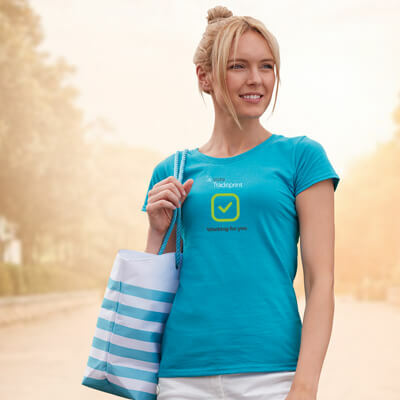 Choose our Promotional T-Shirts for an inexpensive garment perfectly suited to larger orders. 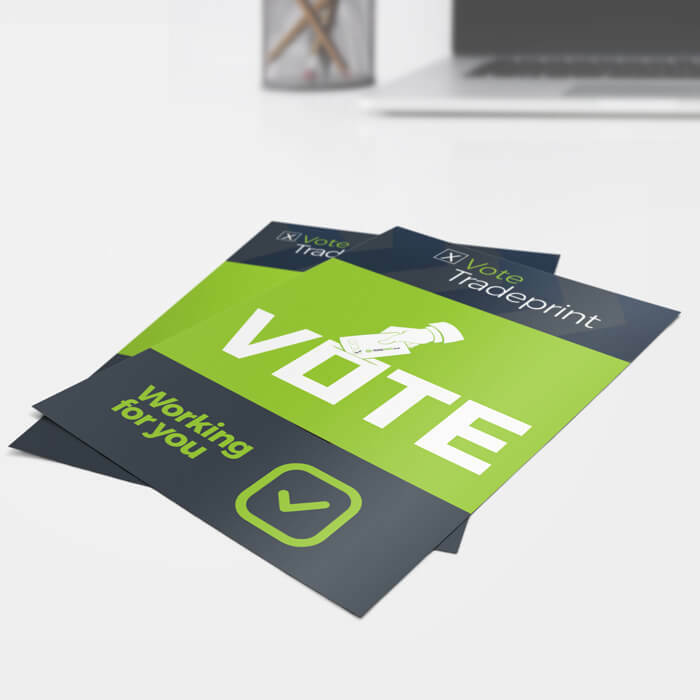 Election leaflets are essential to promote the candidates’ key messages. 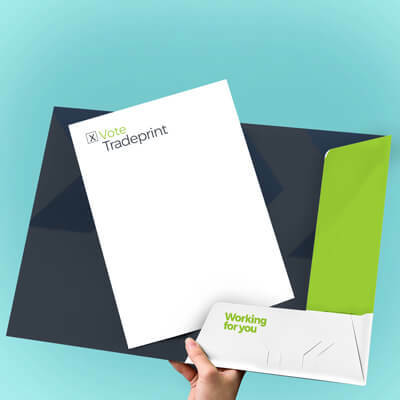 Opt for a roll fold, half fold leaflet for a large print area which folds into a pocket-friendly size, ideal for handing out and posting as a Direct Mail. With a smaller print space, Flyers are ideal for highlighting key points from the political manifesto in easy to understand bullet points. Flyers are lightweight and pocket-friendly, perfect for when canvassing door-to-door. Choose a glued or interlocking presentation folder to hold all these promotional materials together. Brand them according to the party guidelines for a folder that carries the messaging inside and out! Reinforce key party messaging by enclosing important documents or direct mail handouts inside a printed envelope. 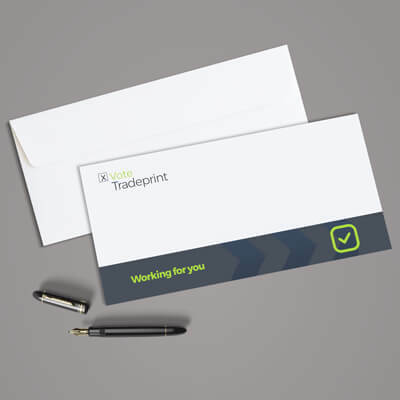 Achieve greater impact by printing a complimentary design or a tempting message on the envelope. We recommend Corrugated Plastic Boards to communicate your desired message brightly and attractively. These boards are lightweight yet rigid and you can gain additional protection from a matt or gloss lamination. 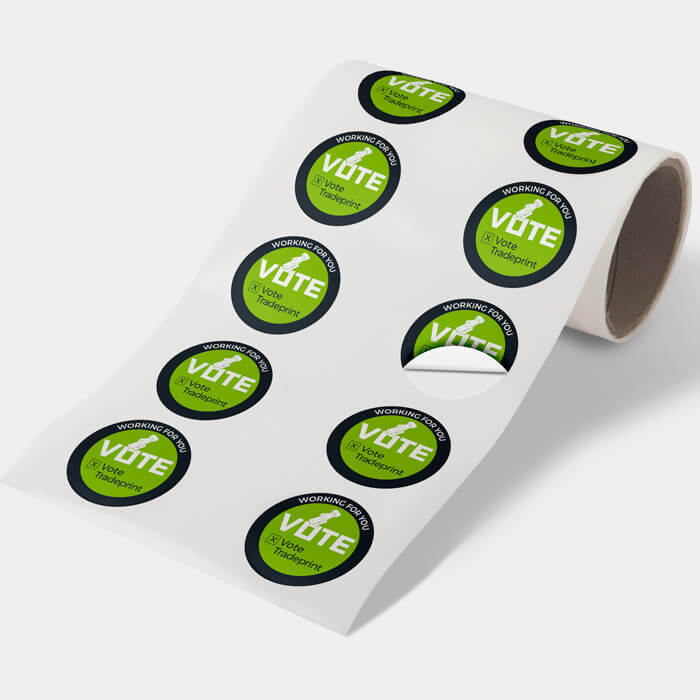 Our stickers will help you build awareness for your campaign while on the go. They come in a variety of sizes and shapes with a gloss and matt lamination options. Election season is big business in the print world. Printed political campaign materials are influential when trying to raise awareness. These can be an underestimated resource but can have the ability to grab the attention of a large audience. In modern times, platforms such as TV or social media have taken over as the prime media format. However, utilising digital media, along with election print is an undisputed way of running a campaign that will be noticed! Not only focusing on a campaign strategy or media strategy amongst many others. A Print Strategy can be useful for so many reasons. T-shirt giveaways, Promotional Flyers, Confectionery in Pillow Boxes as well as AWARENESS from Banners or Flags! These are fundamental ways of getting your political statement across to the public. 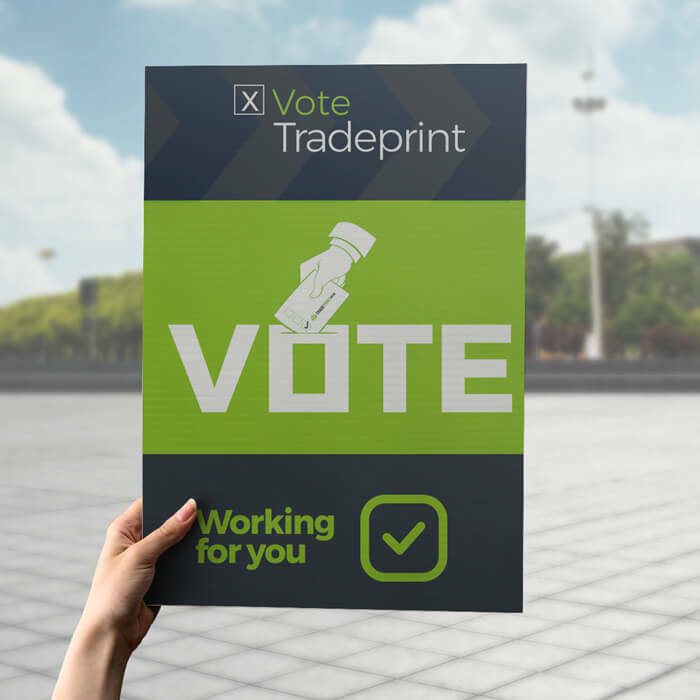 These campaign tips and tricks allow Candidates and parties relying on printers and printed materials to raise awareness of their political manifesto to gain essential support within their constituency. 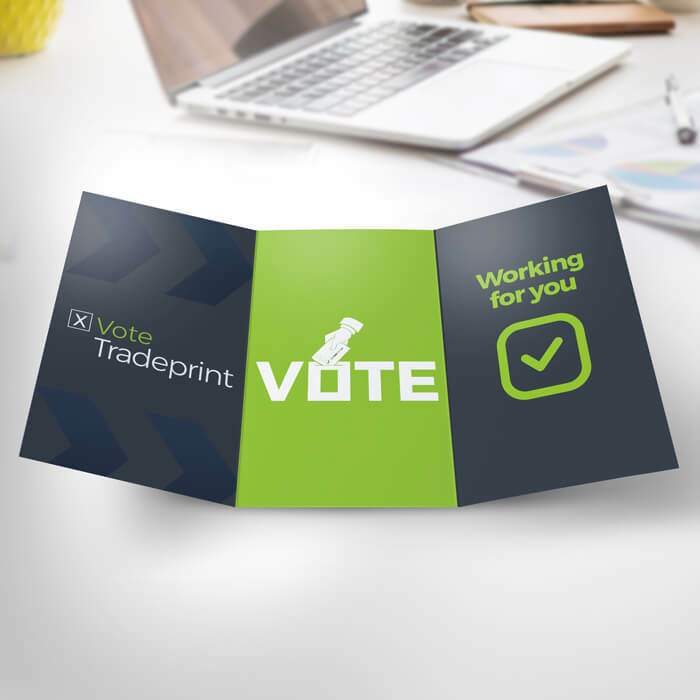 Ensure your political clients have every print item they need this election season with our range of essential election print.